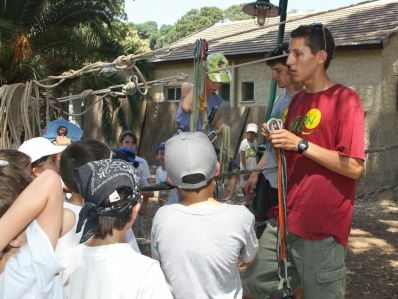 Give these children the chance to get out into nature, develop self-confidence, bond to the Land of Israel and flourish in its beauty on a three day overnight experience. You have the chance to help! Every donation goes directly towards the Summer Camp. Please donate now to help these children have the summer memories we all deserve. Our 304 donors and supporters made this campaign a success in 10 days. Of course! This site is completely secured. Funds are transfered via PayPal, a secured and trusted financial transaction service. All money raised in this campaign goes directly to the summer camp program for "Kadima" Youth Center in Yavne. The children will benefit from your support this summer. All of the money will be dedicated to making this camp the best summer nature experience possible for these kids. You can give them a summer to remember! Invite - You can use our ready-to-be-sent invitation templates or use your own words to invite your friends. Upload your contacts from your internet email provider including gmail, yahoo, hotmail, AOL or connect with your Facebook/Twitter and post a link. Need more help with inviting your friends? Share - Look for the social icons - help us spread the word. Need more help with sharing? Congratulations and happy summer camp!